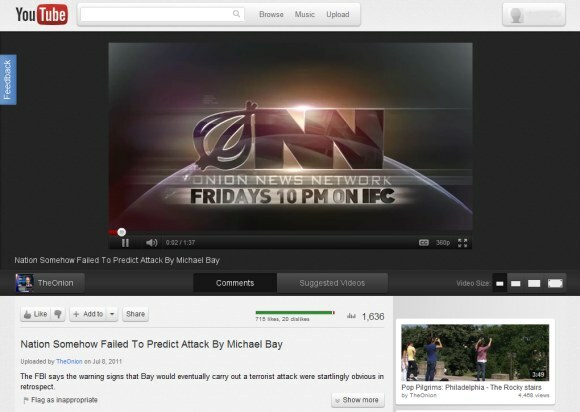 YouTube tests a new interface code-named Cosmic Panda. There are many cosmetic changes: videos are centered, player's controls are now black, video thumbnails are a lot bigger, suggestions are displayed below the video, profile photos are displayed next to the comments, channels and playlists have a completely new layout. Probably the most interesting thing about the new interface is a Chrome-only feature that lets you play a video in the background while you visit a channel. YouTube is more fluid and I expect to see a similar feature when you perform a search and when you click "view all comments". The new interface can be enabled and disabled at youtube.com/cosmicpanda. There's nothing "interesting" about any Chrome-only feature(s) in a Google app. Tried looking for you on G+...where are you guys? From the new design it seems Youtube is preparing to enter the Google+ club. Gee getting real tired real fast of reading these words again and again lately..
"Gee getting real tired real fast of reading these words again and again lately.."
Does this cosmic panda also sneeze? nyan nyan nyan nyan na na na na na na na na na na na na na .. I remember a few years ago, Youtube was testing a new interface that let you keep on watching a video while performing a search. Whatever happened to that, it was great! This new integration looks great and takes watching videos to the next level. Thanks for sharing the videos and nice post. Average design, not great nor bad! Wow. What a awesome design. I can not wait for this! I wish Youtube still allowed you search while watching a video. But the design is much better! Also joined Google+ and its good as I can see. I dont mind the Chrome only feature, this is mostly because the other browsers do not support the feature used yet. Like drag and drop files etc. Only is Google decided to make the feature Chrome-only while it could work in other browsers it is bad, but mostly this is not the case! 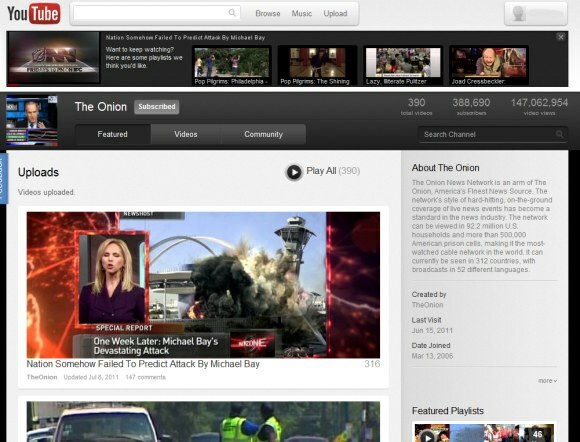 The new interface will hopefully de-rank websites and make the Youtube domain more popular. This is because the link to outside your channel is set as a nodofollow. The point is that personal website value should decrease while your free Youtube channel increase in value. There is a slight problem however and it is that you cannot sell your Youtube account but you can sell your own website. Youtube has the right to sell Youtube and what they are basically selling is everyone else's content. It is time to spend more time on getting our own websites popular and spending less time on Youtube and social networks. Look out for other video services that support your website in the same way that Youtube supported it in the past. I could be wrong but I think I am right. The new interface LOOKS nice. But I'm not liking the lack of control. The actual user interface is slightly subpar. The thumbnails are far too big. You can't edit things as much. We can't view playlist, other uploaded videos, quicklists etc. Also where are the uploaders OTHER videos? At least it looks better. Not as bright and irritating. They gray/black look is pretty good. The New Channel is no good. It's confusing and way less creative. I hate grey. Why can't we change the color?